Looking for a gift with a difference? Stuck for ideas? 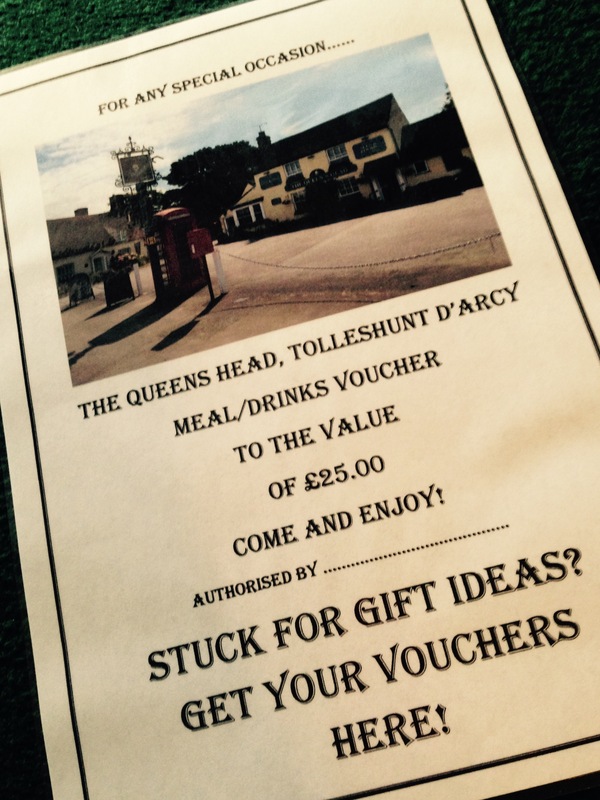 We can create you a Queen’s Head Gift Voucher for any occasion! Just come and see us, or give us a call on 01621 860262, and give the gift of food and/or drink for that Birthday, Anniversary or Christmas treat!